Let's keep learning about the Church Calendar. The first season in the church calendar is called Advent. It is the 4 weeks that come before Christmas. Some churches use the color purple for that season, and others use the color blue. An Advent Wreath, which is a green wreath with 4 candles on it. One candle is lit each Sunday until Christmas. In some countries long ago they used to have wreaths with 24 candles, lighting a big one on Sundays and 6 small ones the other days of the week. In Italy they celebrate Advent by having people play bagpipes before shrines of Mary the mother of Jesus, to remember the shepherds that came to the manger to visit Jesus. Advent Calendars for each day of Advent, and a door is opened each day of the calendar. Another work of prehistoric art is the sculpture Swimming Reindeer. This is a carving of two reindeer swimming, made out of mammoth tusk. It was found in France in 1866 buried 23 feet underground. It was very interesting because reindeer don't live in France anymore, and it was carved from the mammoth which is now extinct. We know that in Italian, dog is cane, cat is gatto, cow is mucca, chicken is pollo and pig is maiale. Also in Italian horses say hii (hee), sheeps say bee (bay), and ducks say qua (koo-ah)! We just learned about what a Wall Cloud is. Tornadoes are measured in science using something called the Fujita Scale which goes from F0 to F5, and stands for how much damage a tornado does. We just learned about the type of dog the Boston Terrier. Another type of dog is the Fox Terrier. There are two types of Fox Terrier, the Wire Fox Terrier and the Smooth Fox Terrier. 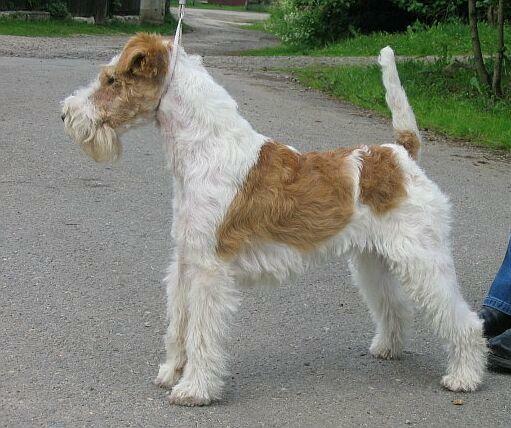 The Fox Terriers were used long ago for hunting foxes. 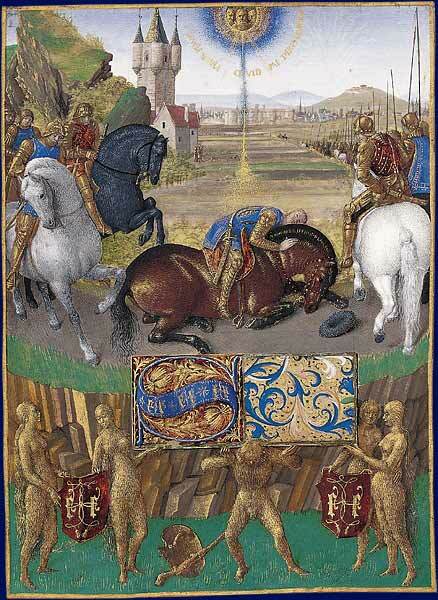 They were very good at chasing the fox and making them run out of their fox den so the hunters could chase them. There is a famous dog show called the Westminster Kennel Club Dog Show, and the Wire Fox Terrier has won the top prize more than any other type of dog, with 14 wins. 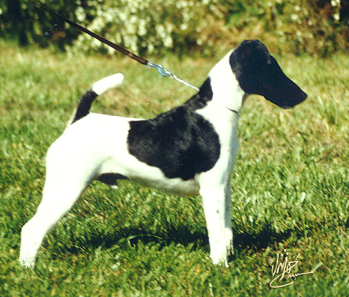 The smooth fox terrier has won 4 times. We've learned about the tricuspid valve between the right atrium and ventricle, and the mitral valve between the left atrium and ventricle. Another valve is called the aortic valve which is between the left ventricle and the aorta. This valve opens for the heart to pump blood out to all the parts of the body, and then closes so the blood doesn't leak back into the heart. Another large lake is Lake Winnipeg. Its name comes from the Native Cree word for muddy waters. This lake is very popular for fishing. We just learned about the Book of Acts in the bible. Let's learn about the calendar for the church. There are a few different church calendars out there, and they are used to try and organize celebrations, colors, times of worship and even subjects to talk about between churches all across the world. These calendars are called Liturgical calendars. We just learned about the famous work of art the Metz & Co showroom by Bart van der Leck. One of the oldest sculptures ever found in history goes all the way back to prehistoric times. It was a statue of a person with a lion's head, carved out of ivory. We already know that in Italian, dog is cane and cat is gatto. Also in Italian cows say muu, chickens say coccodè, and pigs say grugnire! We just learned that a Tornado Family is multiple tornadoes in one storm. Another type of weather is a Wall Cloud. We learned a while back that a shelf cloud is a big cloud that is at the edge of a thunderstorm moving out. A wall cloud looks a lot like a shelf cloud, but it is on the inside of the thunderstorm, not on the outside edge. We just learned about the Jack Russel Terrier. Another type of dog is the Boston Terrier. It has a black and white coat, and because it looks like it is wearing a suit it has the nickname of the American Gentleman. Long ago people raised these dogs to fight other dogs for fun, or to hunt rats, but now they just keep them as pets. We just learned about the tricuspid valve between the right atrium and ventricle. Another valve is called the mitral valve and it is between the left atrium and left ventricle. It opens to let blood flow from the left atrium into the left ventricle, and then closes so the blood doesn't flow back into the left atrium. We just learned about the Great Slave Lake. Another lake is Lake Erie, which borders Michigan, New York, Ohio, Pennsylvania and Ontario. This is the smallest of the Great Lakes in North America. The lake got it's name from the Native American Iroquoi tribe, who thought since the lake was so wild and unpredictable they called it a cat. The Iroquoi word for cat is Erige. The Detroit river runs into Erie, and the water from Erie flows out to Niagara Falls. We just learned about the last book of the bible called Revelation. Let's learn about the book of Acts. Right after the four gospels of Matthew, Mark, Luke and John comes the book of Acts. This book talks about many of the things that happened right after Jesus was crucified, like the Holy Spirit coming down on the Apostles, and when the Apostle Paul was brought to be a believer in Jesus. 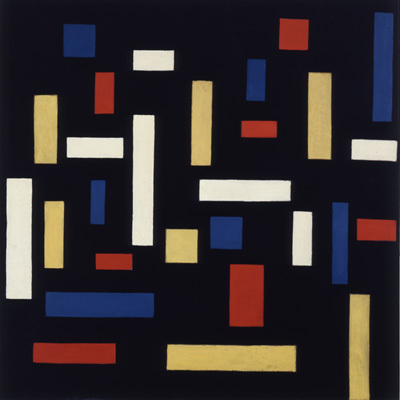 We just learned about the famous work of art Composition VII by Theo van Doesburg. Another famous work of art is the Metz & Co showroom by Dutch artist Bart van der Leck in 1941. Like Mondrian and van Doesburg, van der Leck was part of the abstract art style called De Stijl. Metz and Co was a store that asked van Doesburg to make a nice looking room, and he made it using simple shapes and colors, that weren't supposed to look like anything except a bunch of shapes. and green, blue, purple, pink is verde, blu, viola, rosa. We just learned about the type of whirlwind called a steam devil. Remember a while back we learned about a multiple vortex tornado which is one tornado but looks like two close side by side. Sometimes a supercell storm will have two separate tornadoes in the same storm. If this happens it is called a tornado family. We just learned about the type of dog the Yorkshire Terrier. Another type of dog is called the Jack Russell Terrier. These dogs are small and energetic, and were used to hunt foxes. They were small enough to chase a fox into it's hole, energetic enough to keep up with a fox, and also obeyed well and just chased the fox instead of biting it. There is a famous painting of a Jack Russell Terrier looking into a phonograph, that has been used by some companies as their picture. We just learned that there are heart valves that control the flow of blood in the chambers of the heart. 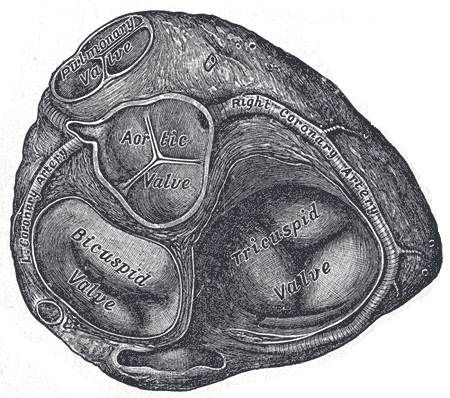 One of the valves is called the tricuspid valve, which is between the right atrium and right ventricle. When blood comes in and fills up the right atrium, the tricuspid valve opens, letting all the blood flow into the right ventricle. Then it closes to keep the blood from flowing back into the right atrium. We just learned about the lake Lake Malawi. The next biggest lake is in Canada, called the Great Slave Lake. It is the deepest lake in North America, and it was named after the First Nation Slavey people. When the lake is frozen, people drive on the ice like a normal road, from the city of YellowKnife to the city of Dettah. We just learned about the book of Jude. The very last book of the bible is Revelation. This book talks about the future, about Jesus coming again some day at the end of time. There are a lot of things in this book like dragons, horsemen and beasts that all bring about the final days of the world. We just learned about the famous painting Composition II by Piet Mondrian. Another famous work of art is Composition VII by Dutch artist Theo van Doesburg in 1917. Like Mondrian, van Doesburg was part of the De Stijl movement that made abstract art using shapes and colors that were just from their imagination. We just learned that in Italian, red, orange and yellow are rosso, arancione and giallo. We just learned about the firestorm. Another type of work is a steam devil. These can appear when there is a spinning whirlwind of air over water, and there is fog that gets pulled up into the whirlwind. We just learned about the type of dog the Keeshond. Another type of dog is the Yorkshire Terrier, sometimes called a Yorkie. Yorkies are small dogs, about 7 pounds, and they were used long ago to catch rats in cotton and woolen mills. During World War II there was a famous Yorkie named Smoky that a soldier found and adopted. The dog traveled with him in his backpack on airplanes and boats, and even helped save some soldiers because he was small enough to crawl through a tunnel carrying a telegram wire. We just learned about how the blood flows through the ventricles, atriums, veins and arteries. In between each of these areas is something called a valve which opens and closes to let the blood out or keep it in. We just learned about the Great Bear Lake. The next biggest lake is Lake Malawi, which is part of Mozambique, Malawi and Tanzania. It has more types of fish than any other lake, and has about 1,000 types of fish called cichlids. We just learned about the book of Third John. The next book in the bible is Jude. This book is only one chapter long, and Jude is warning people to listen to God's word because he will come again some day. We just learned about the work of art Revolving Torsion by Naum Gabo. Another famous work of art is Composition II by Piet Mondrian. Mondrian was famous for an abstract style of painting called De Stijl which is Dutch and means the style. He only used the same shades of white, yellow, red, blue and black to make his paintings, and he used straight lines, squares and rectangles. We just learned about the alphabet in Italian.